Toronto Dogs Directory: Help Your Pet Drop Some Pounds With Global Pet Foods' "Healthy Pet Challenge", Starting This Weekend - What A Pawesome Idea! Help Your Pet Drop Some Pounds With Global Pet Foods' "Healthy Pet Challenge", Starting This Weekend - What A Pawesome Idea! TORONTO, June 10, 2013 –This summer Global Pet Foods and Natural Balance® Pet Foods wants to help your pet win the battle of the bulge. From June 15 - August 31 pet parents are invited to join the Healthy Pet Challenge, a program to improve your pet’s overall health and waistline. The Healthy Pet Challenge kicks off June 15 with Healthy Pet Wellness Consultations taking place at Global Pet Foods stores across Canada for the entire week. Pet parents are encouraged to bring the packaging from their current pet food for a free nutritional analysis. To help motivate pet parents to get active, Healthy Pet Challenge participants will check- in weekly on the Global Pet Foods website to upload their exercise times. To monitor their pet’s weight, pet parents can stop by their local Global Pet Foods to weigh their pet using Global Pet Foods’ scales. Global Pet Foods will be giving away a one year supply of Natural Balance Pet Food to five (5) lucky Healthy Pet Challenge participants, fifty (50) Global Pet Foods Gift Cards valued at $150 each, and a variety of other prizes, including five Canada Pooch Jackets to thirty (30) participants. To join the Healthy Pet Challenge please visit: globalpetfoods.com/healthypetchallenge. 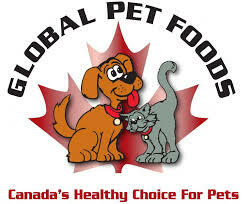 Global Pet Foods is the largest Canadian-owned pet specialty retailer, that offers a wide array of natural and holistic pet food, supplements, and treats, as well as a large selection of Health & Beauty supplies (shampoos, grooming tools, dental products, etc. ), toys, carriers & crates, beds, clothing, leashes & collars, training tools and many other pet supplies and accessories that are essential for pet parents in caring for their companion pets. The majority of Global Pet Foods stores are franchised and independently owned and operated by people who are doting pet parents, agility enthusiasts, animal advocates, and trainers who offer a wealth of knowledge about pet nutrition and pet care. Our philosophy is that caring for pets must include these four elements: Mind+Body+Soul+Spirit. By offering a unique and wide selection of wholesome pet food, accessories and supplies that encompasses these four elements, we hope to help pet parents make informed decisions for the total health and well-being of their companion pets. Founded in 1989, Natural Balance® Pet Foods wanted to deliver the healthiest premium pet food on the market based on sound scientific principles. Today, all Natural Balance® products are used and respected worldwide by top trainers, breeders, veterinarians, kennels, and caring pet owners who want the best for their animals. Natural Balance® Pet Foods offers many selections of premium pet food to meet your companion animal's needs, including Balance® Original Ultra®, Ultra Premium Pet Foods, L.I.D. Limited Ingredient Diets® Formulas, ALPHA® Grain-Free Formulas and many more.